We’ve all heard the saying that “there is more than one way to skin a cat.” Well, in the 1500’s that is exactly what happened to the Christian Church. The Anabaptist, Lutheran, and Reformed (Calvin) theologies all originated from a desire to break away from the corruption of the Catholic Church of the day, yet they have all taken very different paths in deciding the theology of what they have come to believe. Here I will take a close look at each of these theologies that arose from a time of protest from the Catholic Church, and discuss how each originated, how their core theologies are different, and how their views have withstood the test of time. The root of the name Anabaptist is from the Greek words ana meaning again, and baptizo meaning baptize. They were given this name because of their practice of adult baptism. The Catholic Encyclopedia defines this group as: “A violent and extremely radical body of ecclesiastico-civil reformers which first made its appearance in 1521 at Zwickau, in the present kingdom of Saxony, and still exists in milder forms.” Their question about baptism was not one of whether or not someone could get baptized a second time as an adult, but whether the infant baptism was valid. In the early days other reformers such as Martin Luther often used the term to refer to any radical and unorthodox reformer. As described in the Encarta Encyclopedia the movement started in the early 1520’s as “several religious leaders began to preach against church and social practices in Switzerland, Germany, and Austria. The author here also notes that as these leaders were generally younger than the other major reform leaders, and that they were also often swept up into the wars of the peasants and the empire. This may slightly explain their association as being classified as “violent and radical.” Earle E. Cairnes, author of Christianity Throughout the Centuries, credits Conrad Grebelas as being “the founder of the Swiss Anabaptist movement. One of the largest and most well known sects of this movement was the Mennonite group, founded by Menno Simons. The “believer’s baptism” –the idea that faith should come before baptism (Mt 28:19 and Mk 16:16). (2) Pacifism – as Jesus taught his followers not to resist an evil man (Mt 5:39 and Mt 18:36). Community of goods – everyone should share his/her belongings with the rest of the brethren (Luke 14:33, also Mt 6:19-34, Mt 19:21, Luke 12:33, John 13:34-35, Acts 2:44-47 and Acts 4:32-5:11). Today Anabaptists teach that, as Jesus taught, the way to heaven is a “narrow path” (Murphy). The idea is that the three things mentioned above (believer’s baptism, pacifism, and community of goods) help to make the path narrow. However, many of today’s Anabaptists no longer practice the community of goods, as they believe that it makes the path “way too narrow for most people” to walk (Murphy). The Lutheran Church was given its name through its founder Martin Luther. This movement had its beginnings on October 31, 1517 when Luther “posted his Ninety-five Theses on the door of the Castle Church in Wittenberg. In them he condemned the abuses of the indulgence system and challenged all comers to a debate on the matter” (Cairnes). His original intent was to push for reform of the Catholic Church, but later realized that the only way that we was going to ever see the church that he envisioned was through complete separation from the corrupt Roman system. Worship – services focused on the use of the vernacular in the sermons that were based on the exposition of Scriptures, and the encouragement for the entire body to join in the singing of hymns. Baptism – affirmed the traditional practice of infant baptism as a symbol of God’s unconditional love. Christian life – all Christians are sinners and saints, an all are called to be “priests”. The office of pastor is based on a call from God, and from a congregation. Lutheran clergy are allowed to marry, unlike their Roman Catholic counterparts. Doctrinal texts – accept the Bible cannon, and recommend the Apocrypha for Christian edification. They also accept the ecumenical creeds’ authority, and even use some of them regularly in their services. Church organization and government – many older European Lutheran churches have close relationships with the government. Overall, the Lutheran church has never set up a strong organizational structure, and higher levels of leadership are not generally set by any governing standards. Today, the Lutheran Church is building more of a structured organization. Groups, such as the Evangelical Lutheran Church in America (ELCA), are the result of a union of three separate Lutheran Churches. This group, boasting over 5 million baptized members, seems to have not changed it’s doctrine a great deal from it’s original intent laid out by Martin Luther himself. The ELCA website even notes that there are many Lutherans today that still hold to Martin Luther’s original desire for reformation in the church rather than separatism from the traditional Roman Catholic system. The Reformed (Calvin) church was started as “the theology of the French church reformer John Calvin” (Encarta). Cairnes describes John Calvin as a wandering student that ended up studying at the University of Paris. It was there that he met the humanist Guillaume Cop, and was also introduced to Protestant ideas by his cousin Pierre Oliver. After several years, and after his conversion to the ideas of the Reformation, he eventually gave an address that called for a similar type of reform to that of the one being led by Martin Luther in Germany. Calvin’s greatest work, The Institutes of the Christian Religion, eventually became his major work on theology of over four books and 80 chapters. Total depravity of all men – man has inherited sin through Adam, and we can do nothing to save ourselves, since our will is corrupt. Unconditional election – dual predestination (salvation or condemnation) is based on the sovereign will of God, and is apart from human merit. Limited atonement – the work of Christ on the cross is limited to those that are elected into salvation. Perseverance (or preservation) – the elect that are drawn to Christ will never be lost. Calvinism is responsible for the formation of many different churches. Encarta describes many of the “branches” of the Calvin movement. Dutch orthodoxy, Huguenot (later suppressed by the Catholic Church), Puritan, and Presbyterian Churches all have their foundations in Calvinism. Calvin’s influence has probably been the most widespread of the group discussed here. In fact, it was the Puritan Church in England that migrated to America. Furthermore, it was their influence that shaped the religious foundation of the United States through great influencers such as Jonathan Edwards and other great leaders during the Great Awakening. Today, the Reformed Church finds itself being expressed in many different ways, but is still a much different environment than the traditional Roman Catholic Church system that it revolted against. Each of these movements (Anabaptist, Lutheran, and Reformed (Calvin)), all took very different paths in breaking away from the corrupt and powerful Roman system that ruled the day. Some have even evolved a bit over time, and a few are even reaching back to resolve differences with the Catholic Church. Despite the differences, one thing holds all of them together: Christ. All have the common desire to lift up the Word of God as the sole authority in a person’s life, and that faith is the responsibility of the individual. These movements also brought the Truth to the people, and many of us should be thankful that God somehow reminded these reformers that it is all about Him! “Anabaptists.” Microsoft Encarta Encyclopedia Standard 2001. 1993-2000. “Anabaptists.” The Catholic Encyclopedia, Volume I. 1907, 2003. Cairnes, Earl E. Christianity Throughout the Centuries: A History of the Christian Church. Grand Rapids, MI: Zondervan, 1954, 1996. “Calvinism.” Microsoft Encarta Encyclopedia Standard 2001. 1993-2000. “Lutheranism.” Microsoft Encarta Encyclopedia Standard 2001. 1993-2000. Murphy, Don. The Anabaptist Church: Anabaptists Today. 2000. Online. Fan Lake Brethren. Internet. 16 May 2004. 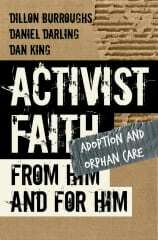 Available: www.anabaptistchurch.org. Unknown, Author. Essential Questions: Lutheranism and Christianity. Online. Evangelical Lutheran Church in America. Internet. 16 May 2004. 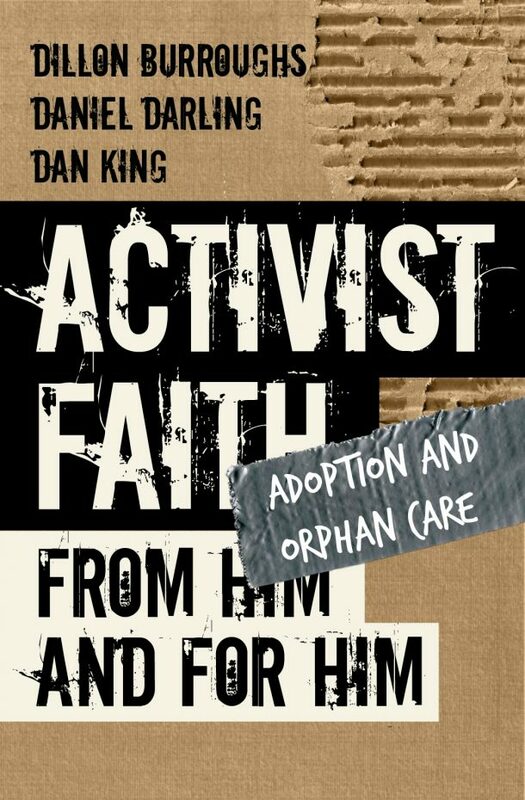 Available: www.elca.org. If you want to see an excellent study on this tumultuous era and how the different traditions interacted with each other, check out Brad Gregory's “Salvation at Stake.” A must read for any Reformation study. But a concern I have with your piece here is that your only citations are from a couple websites, an encyclopedia, and the Cairnes text. I graduated from a very difficult history program in what is practically a bible college (but technically just a liberal arts school), and the Cairnes book was used. However that text is such low level scholarship. I urge folks to look elsewhere. Blessings to you as you continue your education. Thanks for the references! I'll make sure that I get it added to the BibleDude Store! And the further that I get into my studies, I certainly agree on the Cairnes text. This essay was intended to be a brief overview, and not a deep dive comparrison of the theologies. As I progress in my studies I am learning MUCH more about the differences between them… But this was more of a 'history' overview than it was a 'theological' overview. If you want to see an excellent study on this tumultuous era and how the different traditions interacted with each other, check out Brad Gregory's “Salvation at Stake.” A must read for any Reformation study.But a concern I have with your piece here is that your only citations are from a couple websites, an encyclopedia, and the Cairnes text. I graduated from a very difficult history program in what is practically a bible college (but technically just a liberal arts school), and the Cairnes book was used. However that text is such low level scholarship. I urge folks to look elsewhere.Blessings to you as you continue your education. Thanks for the references! I'll make sure that I get it added to the BibleDude Store! And the further that I get into my studies, I certainly agree on the Cairnes text. This essay was intended to be a brief overview, and not a deep dive comparrison of the theologies. As I progress in my studies I am learning MUCH more about the differences between them… But this was more of a 'history' overview than it was a 'theological' overview.Blessings to you as well!